Andreas Papandreou, the 100th anniversary of whose birth is today, left an indelible imprint on the history of Greece. Andreas Papandreou is not remembered for crafting post-dictatorship politics, but rather because of the democratic achievements that it entailed, which were hardly a given at that time. Andreas Papandreou, the 100th anniversary of whose birth is today, was a personality that left an indelible imprint on the history of Greece. He did this in many ways. He did it as a prime minister who governed the country for over a decade. He did it as a visionary politician who attempted to secure for the country a distinctive place on the global map. He also did it as a democrat who with his personal passion gave another dimension to the clash between conservatism and progressivism. Undoubtedly, Andreas Papandreou made mistakes. Yet, no one can deny that his overall record was positive. 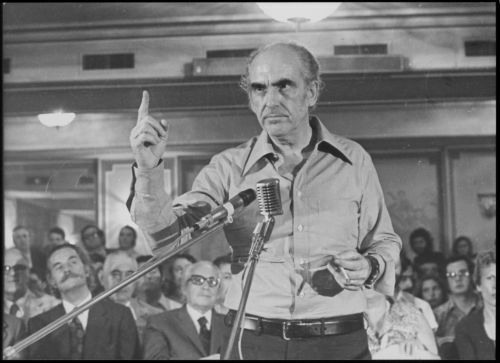 Andreas Papandreou is not remembered for crafting post-dictatorship politics, but rather because of the democratic achievements that it entailed, which were hardly a given at that time. He is also credited with definitively healing the wounds of the Civil War by recognising the National Resistance and ending the division of the people into first-class and second-class citizens. Social mobility, the reduction of inequalities, the lifting of exclusions, and the end of the police state are all achievements for which one must credit Andreas Papandreou. One must also recognise that he united Greece’s progressive forces at a time when they were seeking a common political shelter. All of this constitutes a legacy that his contemporary successors should not cede to anyone.